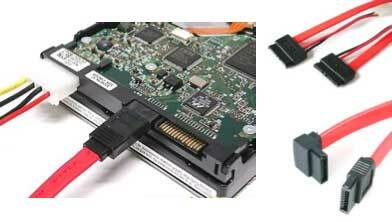 Serial ATA is an evolutionary replacement for the Parallel ATA physical storage interface. Serial ATA is scalable and allows for enhancements to the computing platform. These include easier integration, faster performance, and more efficient design. SATA defines a roadmap starting at 1.5 gigabits per second (equivalent to a data rate of 150MB/s) and migrating to 3.0 gigabits per second (300 MB/s), with a roadmap already planned to 6.0 gigabits, which is anticipated to be achieved in the first half of 2009, supporting up to 10 years of storage evolution based on historical trends.